He won the Grafton Cup and was the bridesmaid in the Caloundra and Ipswich Cups during the Winter. 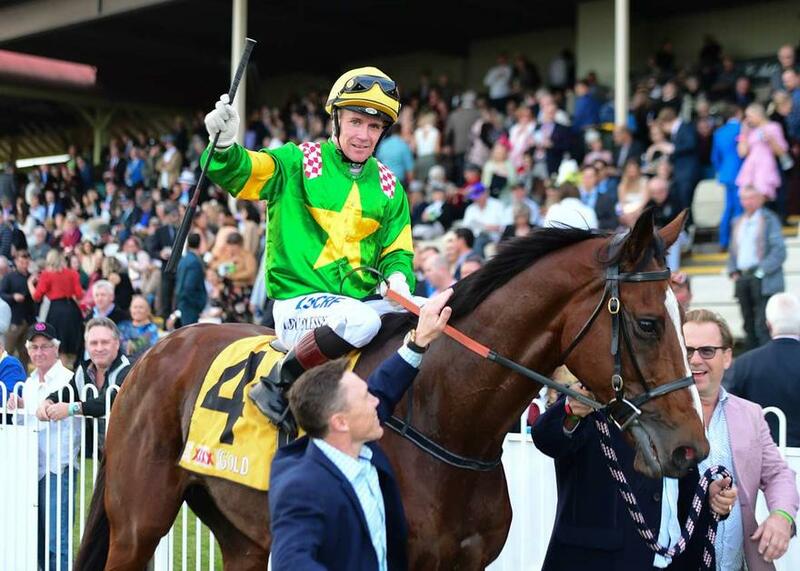 Now FIRST CRUSH has his sights set on more feature Cups glory, with trainer Chris Munce aiming his iron horse and stable favourite at the Group 3 Newcastle Cup (2300m) in mid-September. Having given the Max Whitby owned stayer a 10-day freshen up after his brilliant win in the Grafton Cup in July, Munce has since brought him back into the stable on the path towards a two-race campaign targeting the early Spring staying races in NSW. "He’s come back from his 10 days at Oakwood Farm in good form, he’s quite fresh and well and had a day down at the beach this morning,” said Munce. The $200,000 Newcastle Gold Cup will be held on September 14. Remarkably, First Crush has contested a race during every month since November last year - capturing three wins and a further six placings from 13 starts - and Munce has no concerns over the seven-year-old being able to stay at the top of his game into September. “He enjoys the stable life and enjoys getting pampered and being looked after everyday,” said Munce. "He seems to appreciate that more than being in and out of the paddock all the time, so he’s handling all the work really well." Munce said the Grafton Cup win was a proud moment for owner Whitby and also a satisfying one for him as a trainer after taking First Crush from a Kembla Grange maiden winner to a feature Cups winner that has amassed over $350,000 in prizemoney. “Max has always said to me he wanted to win the Grafton Cup so it was a great thrill to be able to win it for him at only our second try,” he said. “He’s a horse that Max sent up to me and he was only lightly raced - I think he had only won a Maiden at Kembla Grange - so it has been lovely to see him progress and improve and get stronger as he gets older. “There’s still plenty of racing left in him too."